FROM OHIO TURNPIKE – take 53 North to State Route 2 West 5 miles past Camp Perry turn right on Rider Road. Paradise Acres is 3/4 mile on the right. FROM TOLEDO – take I-280 South get off Oregon exit 7, turn left. Go through Oregon, stay on State Route 2 East, 3 miles past Davis Besse, turn left on Rider Road. 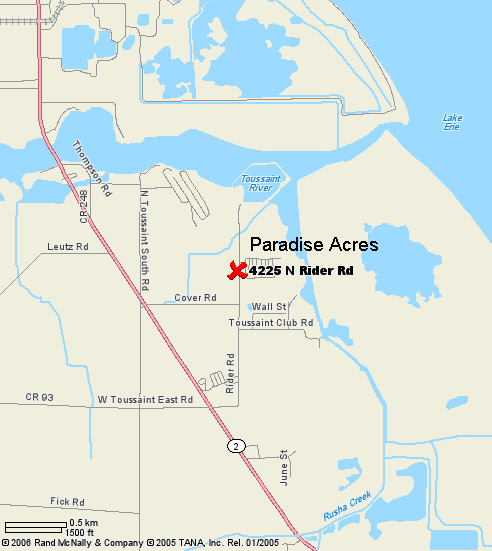 Paradise Acres is 3/4 mile on the right.